The luxury automotive industry is a mature industry that has traditionally focused on high quality design and manufacturing, as well as prestige marketing. Its above-average Cost of Sales component (on average, 80% of revenue) indicates lucrative cost-saving opportunities. Net profit margins in this century-old industry have also been gradually compressed, and currently average less than 7%. In this article, we explore circular economy strategies that luxury auto makers can utilize to improve their profit margins . A circular economy is a system where firms keep resources in use for as long as possible, extract the maximum value from them whilst in use, then recover products and materials at the end of each service life . This means adopting self-sufficient recycling processes and using recyclable materials that maintain their quality throughout recycling processes. Closed-loop recycling is more preferable because it allows a product to be recycled back into itself. 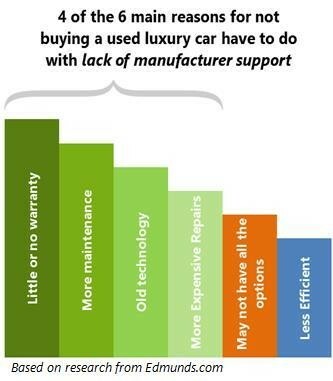 Luxury automakers can establish programs that more proactively collect end-of-life vehicles directly from end users. Although such programs do exist today (eg. BMW’s), the onus is usually on the customer to contact and locate the collection center, thereby creating customer inconvenience. 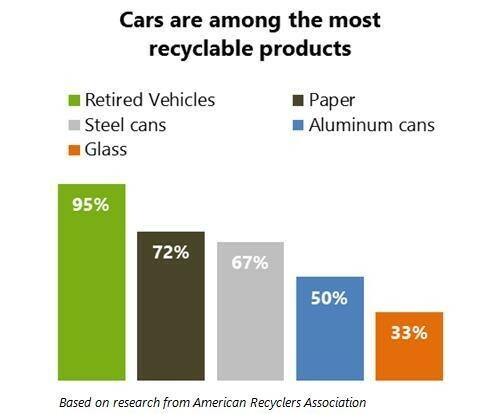 Ideally, firms should establish greater incentives for customers to return their end-of-life vehicles to them directly so that materials eligible for closed-loop recycling can be directly extracted and re-manufactured into new vehicle components. This type of recycling reduces energy use by as much as 75%, according to the World Economic Forum . This translates into cost savings in manufacturing processes. It also ensures that automakers do not lose track of most of these vehicles after the initial sale, and can capture the full potential value of these vehicles since their average useful life is 13 years. This means that the business charges customers a fee to use their products and services. In return, customers enjoy greater peace of mind and convenience, while businesses reap higher profit margins. Netflix and Apple Music have already implemented this model in the movies and music industries respectively. If implemented in the auto industry, such an arrangement significantly reduces unnecessary consumer waste, and promotes vehicle longevity . In this model, manufacturers can mitigate reduced product turnover with increased customer loyalty and higher profit margins. This revenue model increases per-unit profits while reducing the need to continually increase manufacturing and sales force headcount. Luxury automakers can offer a Long-term Lease program, in which the firm charges customers a monthly fee for driving the vehicle. Instead of actually selling the vehicle outright, the automaker retains ownership of it, and provides it with a lifetime warranty. During the vehicle’s lifetime (eg. 13 years), the automaker covers all warranty-eligible repairs at no extra charge. In exchange the customer pays a fixed monthly fee for the entire duration. This proposed strategy represents a major shift towards a ‘rent instead of sell’ business model as opposed to a manufacturing one. As a service-based business model, it typically benefits from higher margins, greater differentiation potential, as well as improved customer loyalty. Service-based revenues are also more stable and predictable. This likely leads to lower earnings volatility and improved corporate valuations (hence higher stock prices). Strategy 3: offer ways to lengthen and widen the use of products. Manufacturers can establish product recycling, refurbishment, and replacement programs which engage with customers directly. By increasing the points of customer contact, firms have more opportunities to improve customer engagement, brand loyalty, and the profit margins. Currently there is a high degree of waste in the economy as US drivers only keep a new car for 6 years despite its average lifespan being 13 years . This strategy focuses on designing vehicle components to be recyclable, reusable, and remanufacturable from the outset. Integrating these concepts into product design and initial manufacturing is critical to reducing remanufacturing costs later on in the product cycle. Although it does require additional R&D investment today, it will reap benefits in the future in the form of lower production costs. Lengthening product usability after a ‘rent instead of sell’ model has been implemented will serve to improve firm profitability even further – as vehicle repair expenses decrease in the face of constant recurring revenue streams paid by customers. Opportunities for improving material usability include ensuring that the materials used are adequately suitable for a closed-loop manufacturing system, investing in R&D to further improve on the recyclability of engines, as well as leveraging new 3D printing technologies when producing smaller-batch niche components. 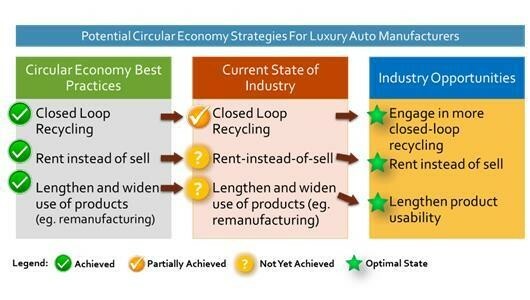 The luxury auto industry stands to greatly profit from Circular Economy strategies. Full adoption of the circular strategy not only conserves resources, can also raise businesses’ net profit margins and earnings dramatically over the long run. In an industry as mature as the luxury auto industry, business model innovation becomes even more important in fostering continued growth and development. When earnings and sustainability can be achieved simultaneously, all stakeholders are happy. Thanks to Jonathan Xu, Harvard University, for research conducted for this article.